The book is mostly structured around art genres (e.g. portraits, landscapes, etc), as opposed to art movements or chronological happenings. As such it gives an unusual, in incomplete overview of paintings. It's a hefty book, useful for browsing and for reading. Definitely an introduction to paintings, but an interesting and fun one. This is without a doubt my favorite book on art history. The things that appeals to me about is how the paintings are arranged by genre, rather than chronological date. 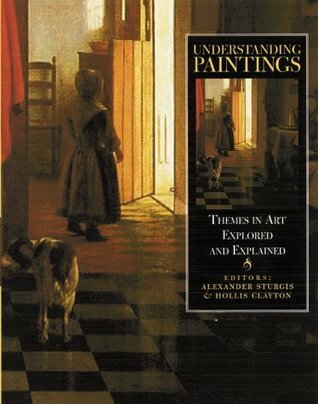 It really helped me understand themes, painting references to previous artists, and paintings as a group. I used to check it out of the library so many times it got ridiculous and I finally bought it. Lots of beautiful reproductions of paintings of all kinds. Not exactly what I was expecting, but interesting as far as it goes. I didn't finish it, though: had been hoping to find something more along the lines of explanation of symbology, i.e. "this means that." This book delivers exactly what it promises: the paintings grouped (and explained) under the next main themes:1) Religious Painting2) Myth and Allegory3) The Nude4) History Painting5) Portraiture6) Landscape7) Genre8) Still Life9) Abstract Painting10) Materials and techniqueEach theme has several sub-groups like, for example, for the theme 'Still Life': Introduction / The independent still life / Creating an illusion / Flower painting / Reminders of death / Symbolism and allegory / A feast for the eyes / A new perspectiveThe book would be even better with more paintings (yes, I know, I'm greedy), and it's pity that there are no paintings from the Middle and Far East (the book is purely concentrated on the Western painting).However, knowing how difficult is to edit such a kind of book, I think that it still deserves 5 stars.